Researchers at the Newcastle University have successfully bioprinted human corneas using a 3D printing process called pneumatic 3D extrusion bioprinting. The cornea is the outermost layer of the eye and not only protects the eye, but also controls the transmission of light into the eye and helps the lens focus light onto the retina. There are approximately 10 million people globally that require surgery to correct blindness caused by trachoma according to the WHO. A further 4.9 million people are estimated to have lost their sight due to corneal scarring, caused by physical damage to the eye. 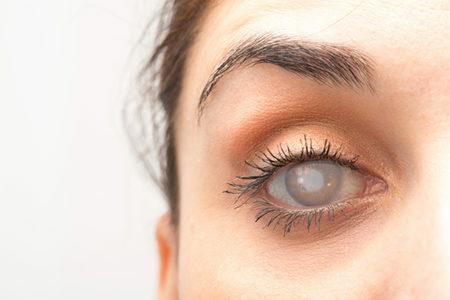 While it is possible to correct these conditions and restore sight by replacing the affected cornea, there is currently a shortage of cornea donors. If corneas can be created in the lab, they could be used to restore the sight of millions of people. Several teams of researchers have attempted to create artificial corneas in the lab, but one of the major challenges has been the creation of a suitable bio-ink. The bio-ink needs to be thick enough for the printed cells to retain their shape after the printing process, the bio-ink must be thin enough to pass through the printer nozzle, and robust enough to survive the printing process. The Newcastle University researchers have created an ideal bio-ink and have succeeded in creating artificial human corneas from human cells. To create the corneas, Newcastle University professor Che Connon and his team used pneumatic 3D extrusion bioprinting. The bio-ink used to print the corneas was created from human stromal cells taken from corneas, which were combined with collagen and alginate to help the printed material retain its structure. The team printed the cells in concentric circles, building up the layers into the shape of a human cornea. The whole printing process took around 10 minutes on a low-cost bioprinter. “Our unique gel keeps the stem cells alive whilst producing a material which is stiff enough to hold its shape but soft enough to be squeezed out the nozzle of a 3D printer,” said Connon. The stromal cells grew in culture, and the team has already demonstrated they can be kept alive for weeks. “Now we have a ready to use bio-ink containing stem cells allowing users to start printing tissues without having to worry about growing the cells separately,” said Connon. The researchers took a scan of a patient’s eye to get the exact measurements required and were able to print a cornea to the exact specifications of the patient. Further testing of the 3D-printed corneas is required before they could be used in transplants, and it is likely to be several years before the first 3D-biopinted cornea is transplanted; however, the Newcastle University researchers have at least demonstrated the process is feasible and that corneas can be printed quickly at a relatively low cost. The paper – 3D bioprinting of a corneal stroma equivalent – will be published in the journal, Experimental Eye Research, in August 2018.